Home » News » Will a conservatory really boost your Bristol home value? Will a conservatory really boost your Bristol home value? Bristol is one of the most sought-after locations in the UK. In recent years, property prices have sky-rocketed. According to the UK Cities House Price Index, Bristol property prices are now, for the first time, increasing at a faster rate than those in London. If you’re lucky enough to be a Bristol homeowner, you’ll be pleased to hear that your investment is increasing in value. You may, however, want to embrace this boom and do more to increase your home’s worth. There are many ways to increase the value of your home. From painting and decorating and tidying up your garden, to installing a new bathroom or kitchen, converting your loft or garage, or extending your home. Home improvements vary greatly in the amount of money you’ll get back on your initial investment. One of the best ways to add value to your home is by installing a conservatory. A high quality conservatory can increase your home’s value by five percent. On an average Bristol property worth £282,000, that’s a massive £14,000 increase. Whether you want to put your property on the market to sell, make an investment for the future, or just add some extra living space to improve your standard of living, a conservatory installation is an excellent idea. If you’re thinking about installing a conservatory on your Bristol home, you’ve come to the right place. At Oakley Green, we specialise in high quality conservatory installation. For nearly two decades, we’ve been improving the homes of people across the South of England with our high performance glazed extensions. Whatever style and size of conservatory you like, we’ll endeavour to meet your exact specifications. 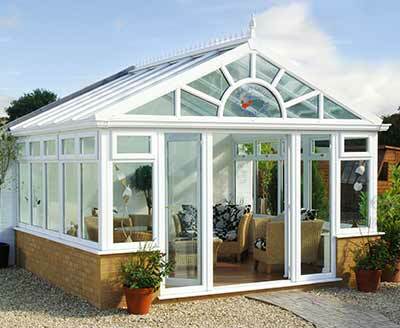 For conservatories Bristol we are an excellent choice. All our conservatories are available in uPVC, aluminium, or timber. Whether you live in a contemporary 21st century property or a more traditional period home, we can combine the best material with the most suitable style to perfectly complement your home’s aesthetic. At Oakley Green, we have show rooms at three sites, Bristol, Maidenhead, and Thatcham. If you’d like to get a feel for the quality of our products and speak to one of our friendly advisors, call in and have a look around. Alternatively, for more information about any of our products and services call 01635 877 959 or send us a message online.